Valentine’s Day is tomorrow! Give your sweetheart something that they can enjoy everyday. We have included some items that can make for a sweet and thoughtful gift this year. Our faux peonies in a gray ceramic vase can add a delicate, feminine touch to any space. The arrangement is 9″ W x 9″ D x 12″ H. It sells for $115. Need a gift idea for mom? 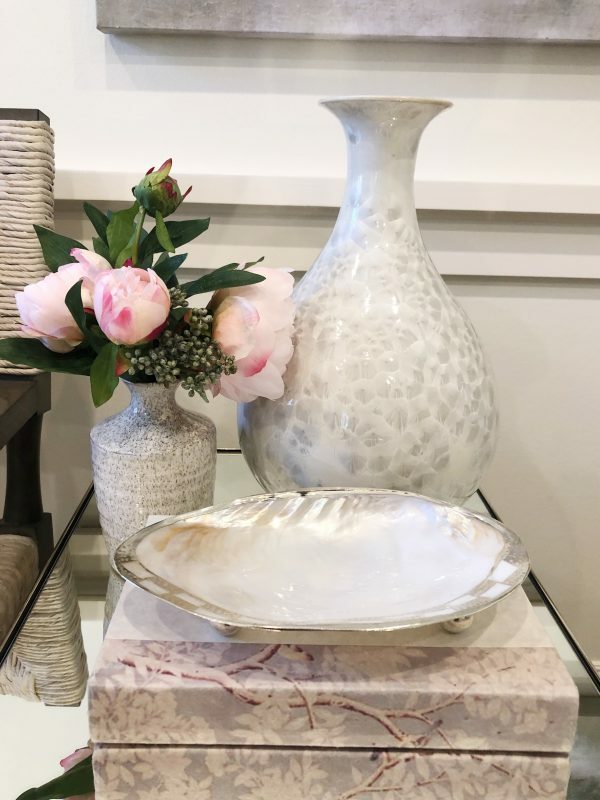 Our “mother of pearl” vase is an equally lovely gift. It is 9″ W x 9″ D x 15″ H and sells for $99.99. 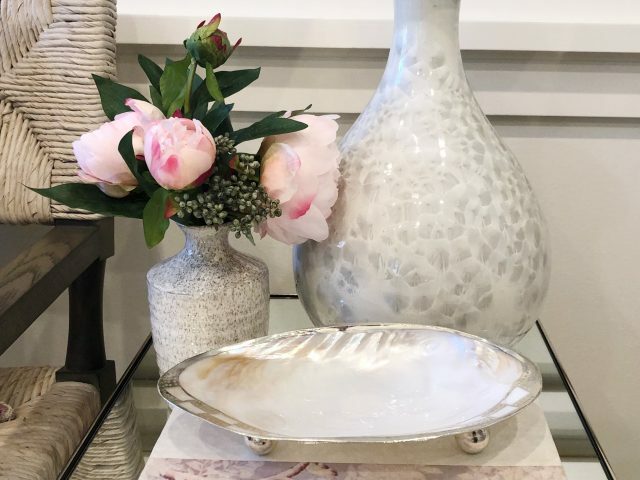 Our shell dish with silver trim can add a stylish addition to a bathroom or vanity. 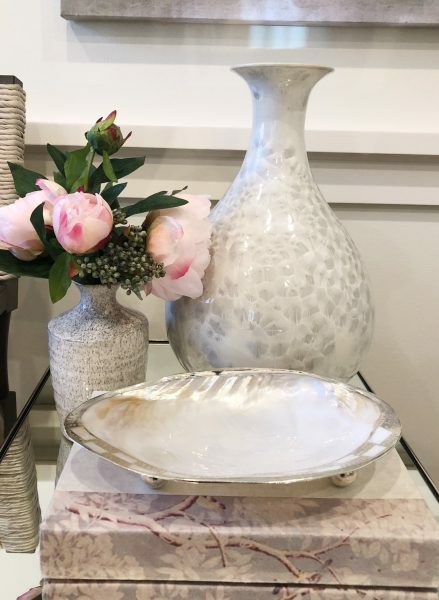 You can place knick-knacks in the dish or jewelry. It is $39.99. Finally we love our decorative bound books. This particular style is wrapped in a beautiful chinoiserie print. Each book is $29.99. We hope you have a Happy Valentine’s day tomorrow! We will be closed Monday, February 18th for a Community Volunteer Day. We will reopen on Tuesday, February 19th.